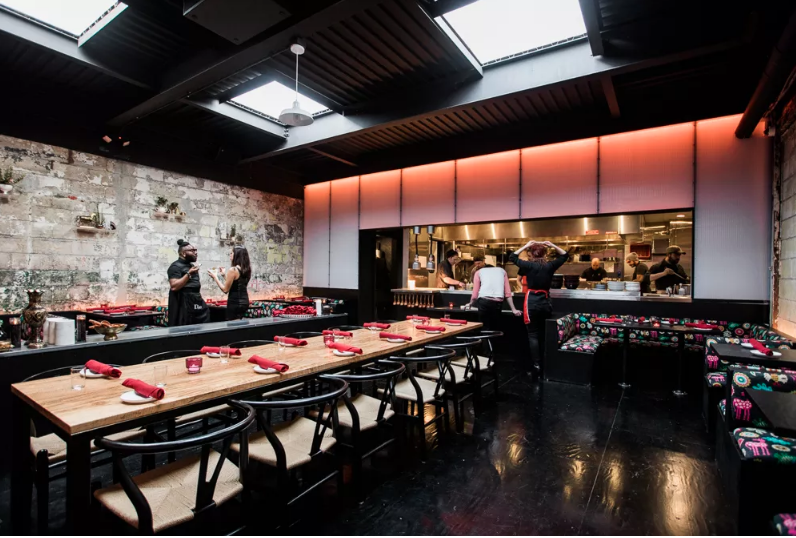 2520 Michigan Ave. Detroit, MI 48216 Step inside this old boxy garage and you’ll be transported into a funky, unordinary, Southeast Asian inspired restaurant that will take your tastebuds on a wild and flavorful adventure. 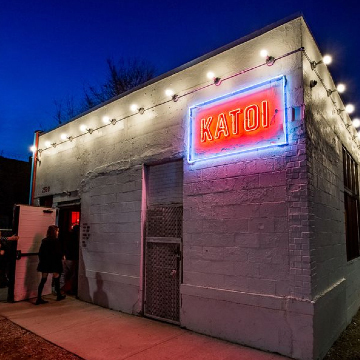 Katoi started gracing foodies with their unique thai-like dishes in 2015 through a food truck and temporary pop ups in Ann Arbor. Fast forward to the spring of 2016 and you can now sit down and enjoy their eclectic menu at their brick and mortar location in Corktown. From a wide variety of vegetarian options, to savory meat indulgent plates, to spicy, bold, and vibrant flavors, there’s something to please everyone’s preferences. The “mothership” as they like to call the restaurant, is divided into two sections. The bar is at the fore front of the building, where you can enjoy one of their exotic cocktails or feel free to ask the bartender to serve you something special and they’ll whip you up a tasty concoction. The second half of the building hosts the dining room where a long communal table is the center of attention. The open kitchen it situated in the back and viewable from every seat in the house. The open kitchen is designed to make guests feel close to the cooking experience as well as the food. Booths upholstered with funky, bright flowers border the walls while neon colored lights and upbeat music create a one of a kind ambiance. The menu is designed to be ever changing as well as shared, so choose a few of your favorite items and sample a variety of dishes with each visit. 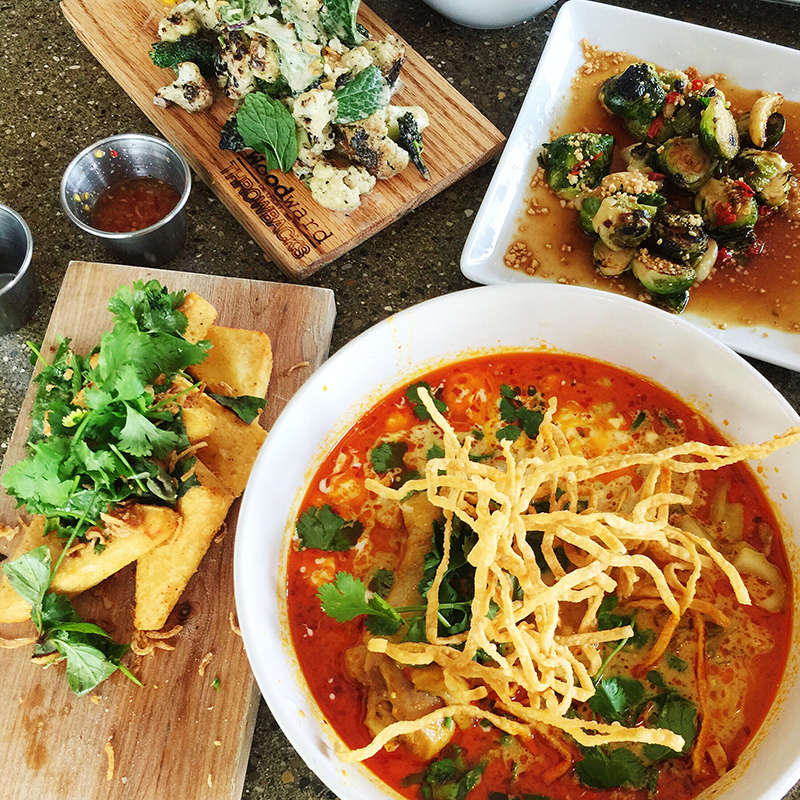 From noodles such as the Khao Soi Gai, a combination of curried noodles, coconut milk, and a chicken drumstick, to Chickpea Tofu which includes herb salad, crispy shallots, and sweet chili garlic, to Wok Steamed Mussels complete with cilantro butter and charred bread; the menu has a way of making your eyes appear bigger than your stomach. But make sure you save room for desert, the coconut milk ice cream is a must try! 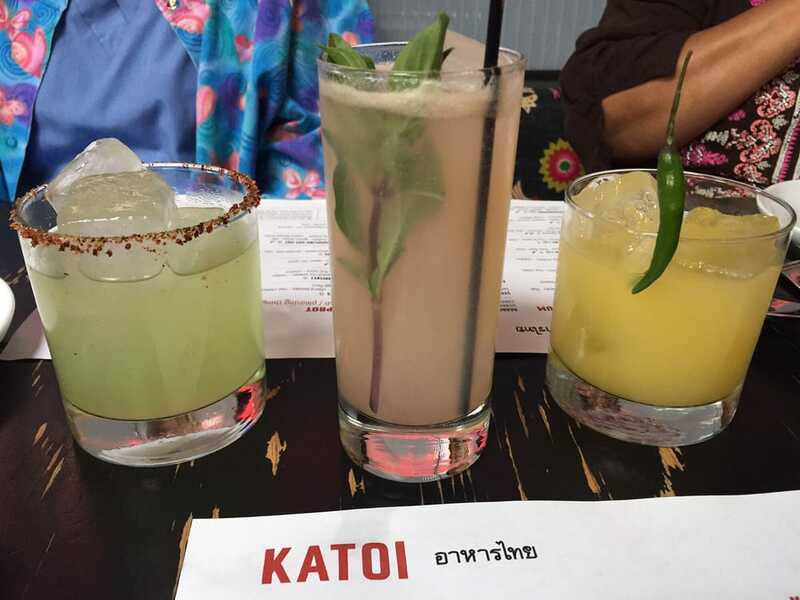 Join Katoi six days a week for a flavorful ride and a noteworthy dining experience that you won’t forget!